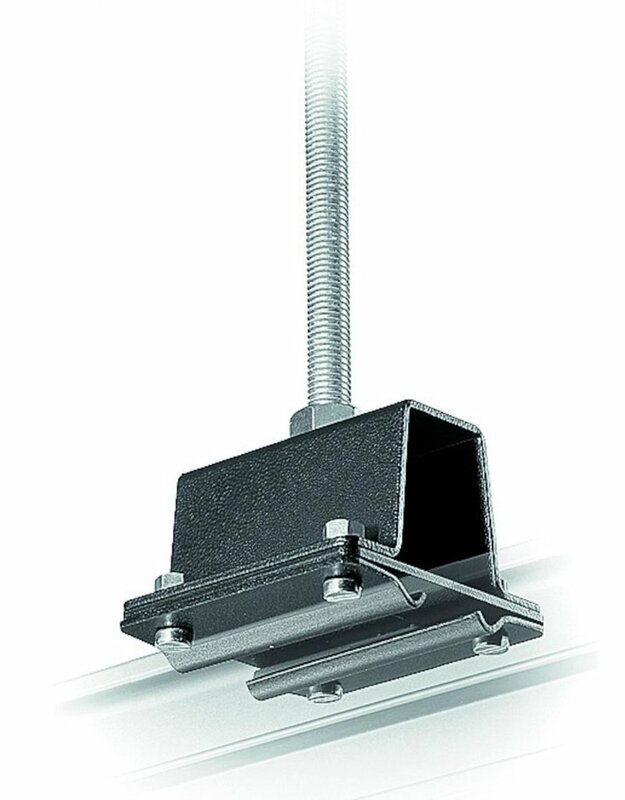 The IFF3214A Bracket from Manfrotto for Ceiling Attachment of the IFF system can be attached directly by screws or rods with a maximum diameter of 1/2''. Before mounting the bracket it is advisable to standardize the length of both the rods and screws. Fix the bracket between a nut allowing the screw on the inside of the bracket to protrude about 1,5cm. When fixture is completed, it is then possible to regulate a perfect rail levelness by adjusting the nuts which fasten the brackets. 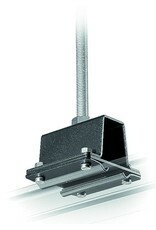 1 x IFF3214A Bracket for Ceiling Attachment without Rod.